If you like bananas, you’ll love this recipe. It’s easy, quick and delicious. Put the first 6 ingredients in a large mixing bowl. Slowly add milk and mix thoroughly with a whisk but do not over mix. There should be some small lumps of flour. Heat a griddle or a large frying pan. Make sure to use a pan spray even if your pan is non-stick. Use a 1/4 cup measuring spoon for the pancake batter. This makes more consistent and even size pancakes. Cook on medium heat for 2 to 3 minutes on each side. If it browns too fast, make sure to turn down the heat or else the pancake will be raw in the middle. 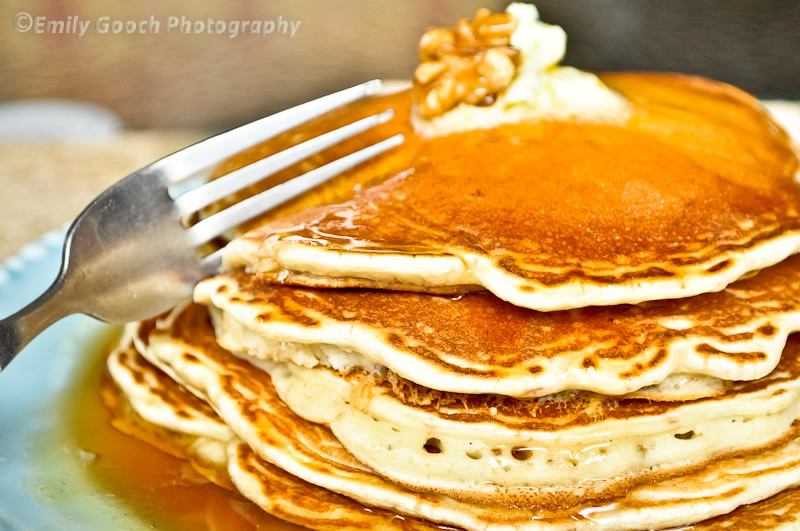 Serve with maple syrup or a syrup of your choice… Enjoy! Oh…. 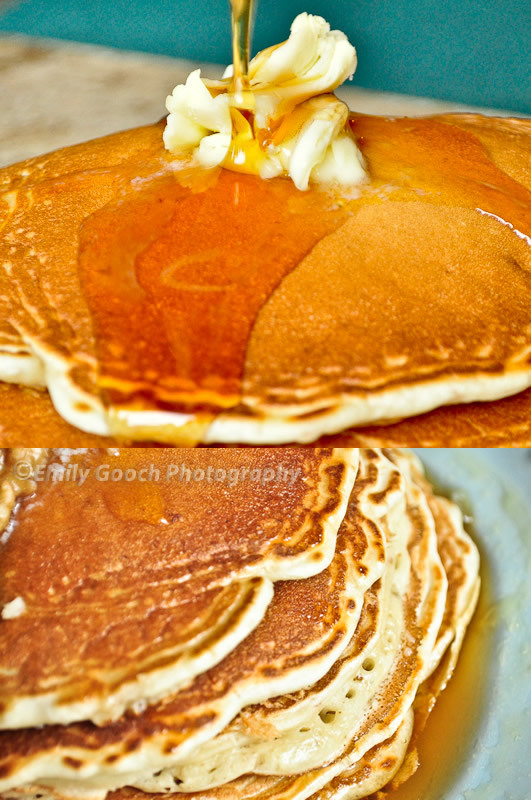 pancakes for breakfast! Delicious. Thanks for stopping by Nigel. You’ll love these pancakes. They are really easy to make… but mostly so good and fluffy.